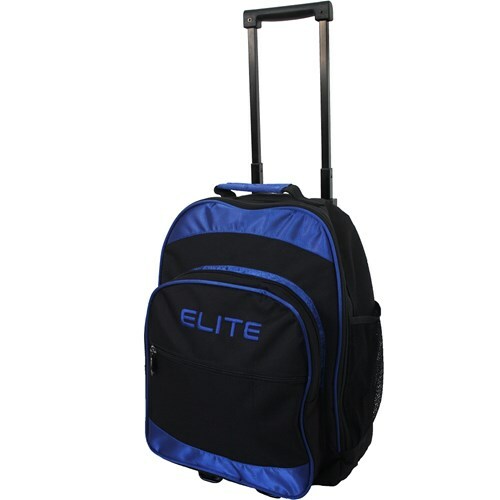 The Elite Ace single roller bowling bag is a compact rolling bag. This bag is perfect for adults or kids to carry one bowling ball, a pair of shoes (up to men's size 10) and some accessories. Retractable square handle extends to 37"
Dimensions: L: 18" X H: 9.5" X W: 13"
Due to the time it takes to produce the Elite Ace Single Roller Blue ball it will ship in immediately. We cannot ship this ball outside the United States.